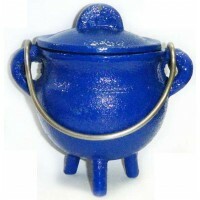 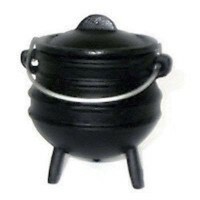 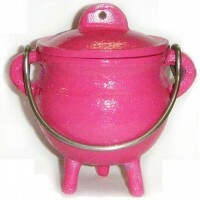 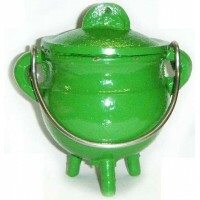 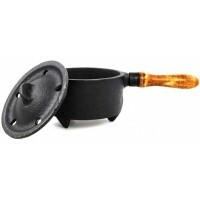 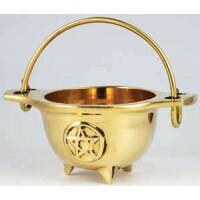 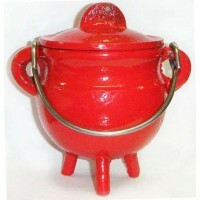 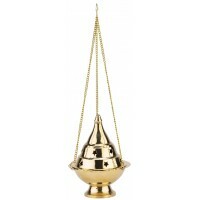 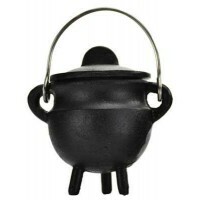 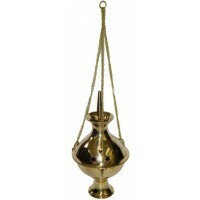 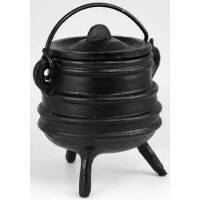 Mini 3 inch cauldron is cast iron with traditional 3 legs is a great little incense or ritual pot. 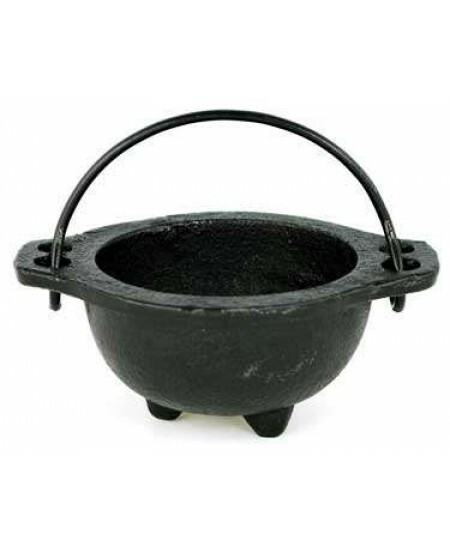 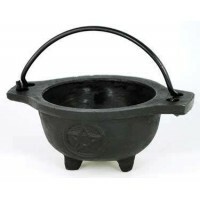 This versatile little cast iron cauldron with handle can be used for many things on your altar including salt, water, incense, and candles. 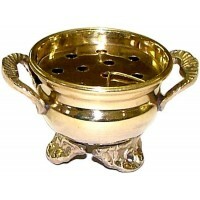 Measures 3 inches with a wide mouth great for smudging too. 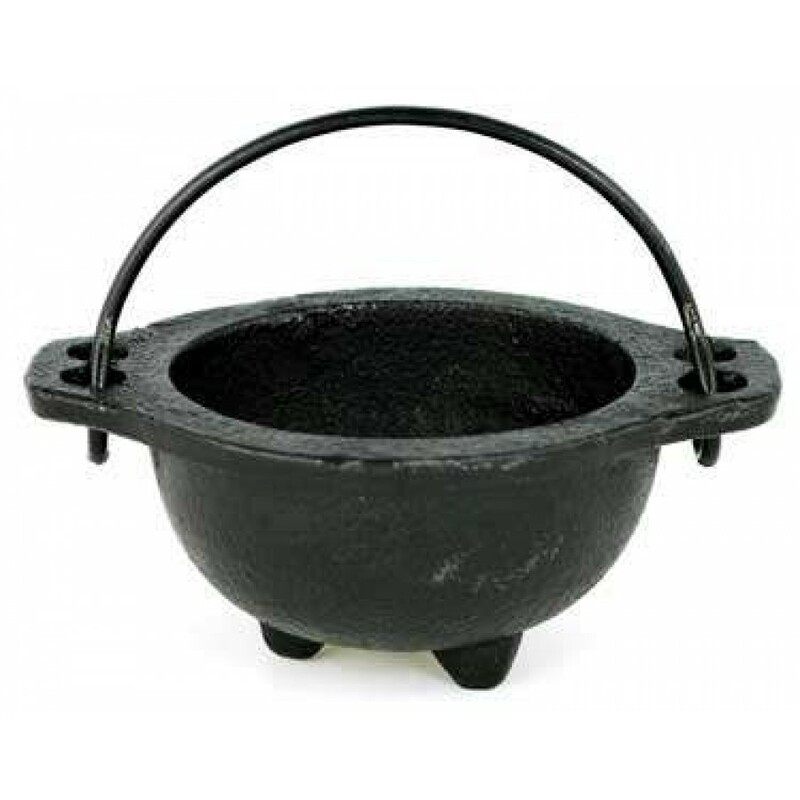 Item Number: AA-ICBR74/RV-BR75 | Approximate Size (Inches): 3.00 wide x 3.00 deep x 2.00 high | Approximate Shipping Weight: 1.00 lbs.